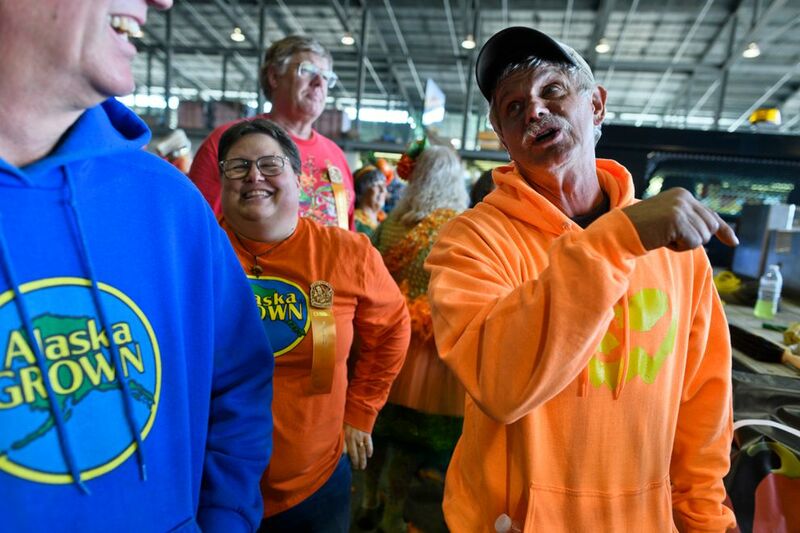 PALMER — Anchorage's Dale Marshall set an Alaska State Fair record in the 13th Annual Alaska's Midnight Sun Great Pumpkin Weigh-Off Tuesday. Marshall's 1,471.5-pound entry broke the record he set in 2016 by two and a half pounds. It was the third time in 11 years that Marshall has set a state record, he said. 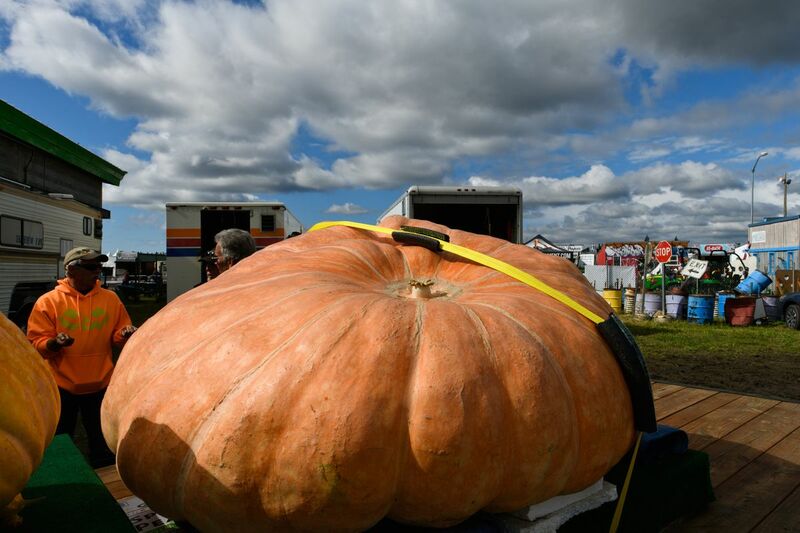 Marshall said he liked his chances to win the annual contest when the pumpkin was lifted at home earlier in the day and showed no cracks or holes on the underside. But getting it out of the greenhouse for transport to Palmer required cutting a hole in the roof, he said. "I took a Sawzall to it and cut it out of there," he said. Marshall said the growing season started cooler and included fewer sunny periods than he would've liked. But growing big pumpkins is all about "vine management" and about 70 gallons of water for his greenhouse each day. "It's all in the roots, keeping them healthy, basically," he said. "For these things to keep growing, you just got to keep watering them." Though one of the most successful growers in the contest's history, Marshall has also come up short. In 2011, a 1,723-pounder was disqualified because of a hole. 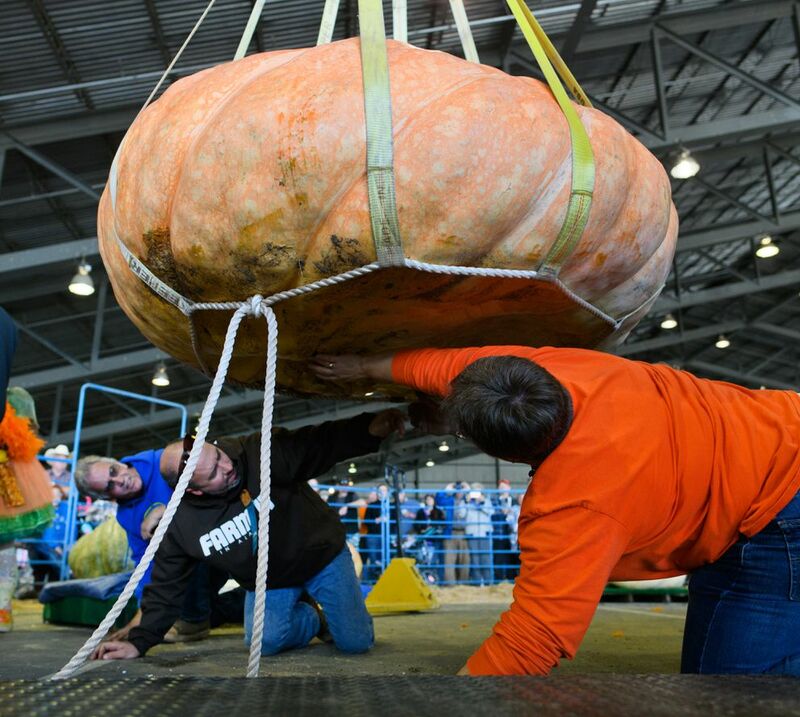 In 2015, a crane broke while hoisting the pumpkin, which smashed to the ground. 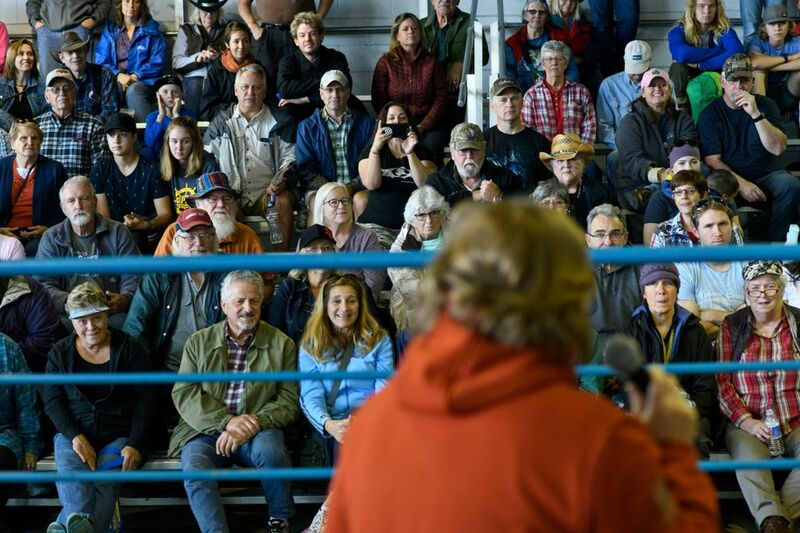 Tuesday's event filled the bleachers in the state fair's big barn. 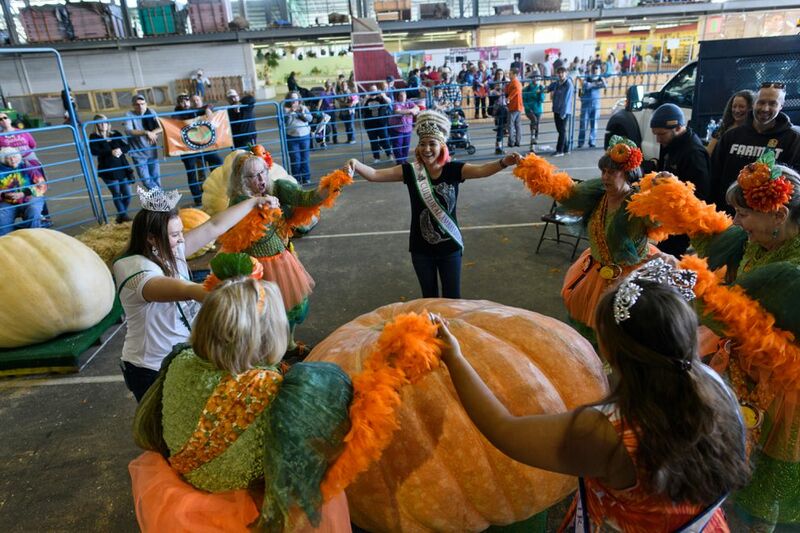 A ring of costumed Pumpkin Fairies and pageant winners circled the massive orange entry before official Gidget Sanders operated the machinery to lift it to the scale. When crop superintendent Kathy Liska revealed the weight, Marshall raised his fists in the air, high-fived event staff and shook hands with the man who won last year's title, Dave Iles of North Pole, who suspected the record might be in danger. "I knew it was going to be close," Iles said. 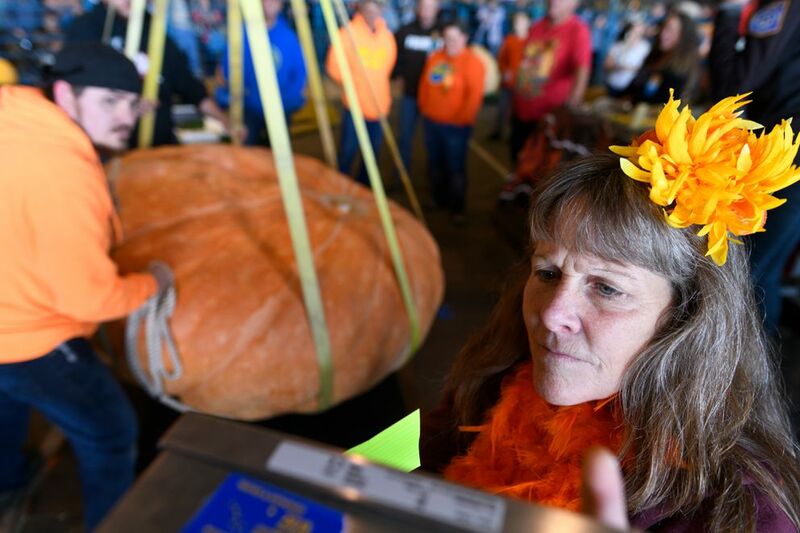 Marshall's winning pumpkin, which has an oblong shape and a stem that grew out of the bottom, measured 16 feet, 8 inches in circumference, he said. 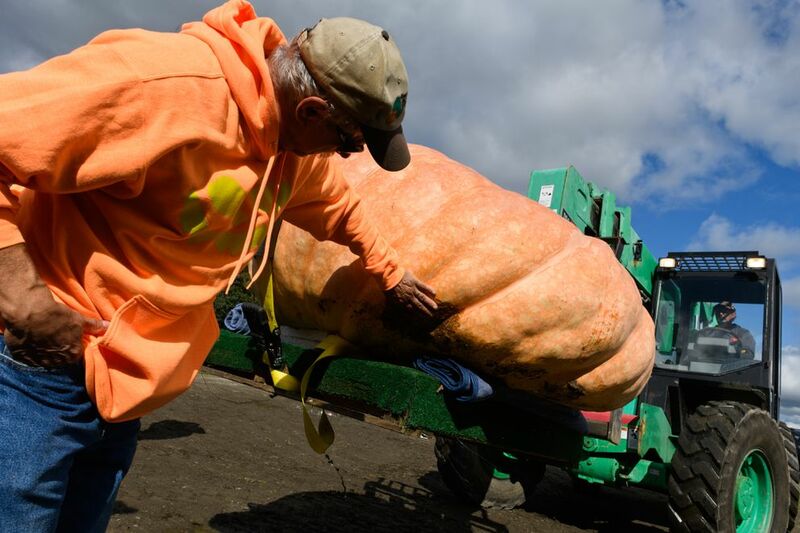 He also entered three other pumpkins, the largest of which was 933 pounds.